Journal of Psychology and Brain Studies Journal of Psychology and Brain Studies publishes articles based on original research on cognitive, behavioral and brain development aspects of human beings. The journal offers peer-reviewed articles subject areas including perception, cognition, attention, emotion, intelligence, phenomenology, motivation, brain functioning, psychological resilience, family resilience, and natural on open access mode. Its editorial mission is to focus on prevention and cure of psychological and behavioral disorders occurred due to genetic, social, medical and other reasons. The Journal particularly welcomes contributions from the specialists in the field of psychology, neurology and development studies. 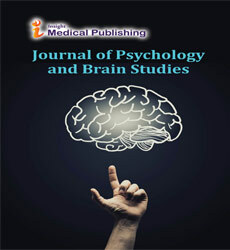 The journal aims to promote scientific inquiry by publishing the constantly emerging original research of the highest standard in the field of Psychology and Brain Studies. Physiological psychology deals with how emotional responses, memory, mental illness, states of consciousness and sensory perception are affected by physiology, genetics and biology . The field comes under developmental psychology. It is majorly concerned taking the biological approach to understand behaviors and thoughts. People with health problems, including bipolar disorder, dementia, substance abuse disorders, or brain tumors can also have these Symptoms. Neurophilosophy or philosophy of neuroscience is the interdisciplinary study of neuroscience and philosophy that explores the relevance of neuroscientific studies to the arguments traditionally categorized as philosophy of mind. The philosophy of neuroscience attempts to clarify neuroscientific methods and results using the conceptual rigor and methods of philosophy of science. Cognitive behavioral therapy (CBT) is a short-term, goal-oriented psychotherapy treatment that takes a hands-on, practical approach to problem-solving. Its goal is to change patterns of thinking or behavior that are behind people’s difficulties, and so change the way they feel. It is used to help treat a wide range of issues in a person’s life, from sleeping difficulties or relationship problems, to drug and alcohol abuse or anxiety and depression. CBT works by changing people’s attitudes and their behavior by focusing on the thoughts, images, beliefs and attitudes that are held (a person’s cognitive processes) and how these processes relate to the way a person behaves, as a way of dealing with emotional problems. Autism., or autism spectrum disorder, refers to a range of conditions characterized by challenges with social skills, repetitive behaviors, speech and nonverbal communication, as well as by unique strengths and differences. We now know that there is not one autism but many types, caused by different combinations of genetic and environmental influences. Depression, even the most severe cases, is a highly treatable disorder. As with many illnesses, the earlier that treatment can begin, the more effective it is and the greater the likelihood that recurrence can be prevented. Appropriate treatment for depression starts with a physical examination by a physician. Certain medications, as well as some medical conditions such as viral infections or a thyroid disorder, can cause the same symptoms as depression and should be ruled out. The doctor should ask about alcohol and drug use, and whether the patient has thoughts about death or suicide.